2014 was looking like a great year for games. We had big hitters such as Batman: Arkham Knight, The Witcher 3, Tom Clancy’s: The Division. The Order:1866, The Elder Scrolls Online (console version), and many others. 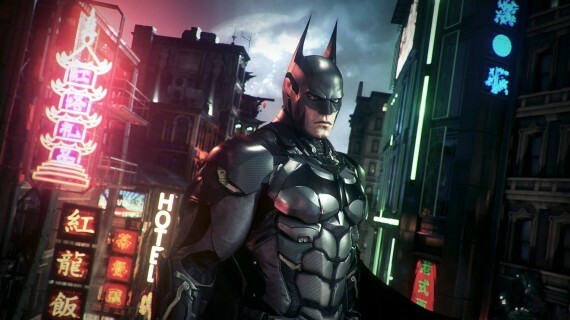 The latest title slipping in to 2015 is Batman: Arkham Knight. Thought this makes my fall release schedule a tad easier on the wallet, this was my most anticipated title of the year. So now I have Destiny, Assassin’s Creed: Unity, Dragon Age: Inquisition, Evolve, Smash Brothers Wii U, Lord of the Rings: Shadow of Mordor, and the recently announced Forza Horizon 2 to look forward too. Not a bad line up of games to get me though the cold winter, but the Dark Knight will sadly be missed. I agree that game creators should take their time, more time could mean a better, more finished product. Here is a list of everything that has been pushed back so far. – The Elder Scrolls Online (PS4/One) – atleast 6 months, could be December, my money is on early next year. Hopefully with E3 a week away, we see some more concrete titles coming this fall, and more reason to put money down on a new console. Even if 2014 does end up on the weaker side, 2015 should be a smashing year for gaming. If any other delays are announced I will update the article.